Timothy Ray Brown known as the Berlin patient is the only known person to have been cured. The problem is no doctors actually know what part of the treatment cured him. In 2007 this was a real disappointment when doctors finally cured HIV but had no idea how they did it. And it took them 7 years, in 2014, they finally started to figure out what they had done. A new experiment has started to shine a light on the type of treatment that is required to cure HIV. 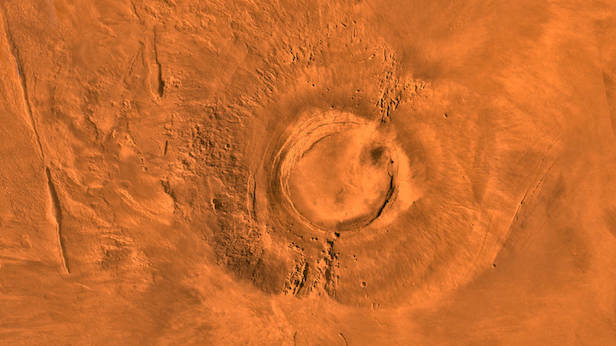 It has come down to Brown receiving bone marrow from a person who had a rare genetic mutation that was HIV resistant. Brown went into the hospital for leukemia treatment which is a cancer of the white blood cells. Initially, after the treatment, doctors thought he would never make it and he was put into a coma to allow his body to recover. 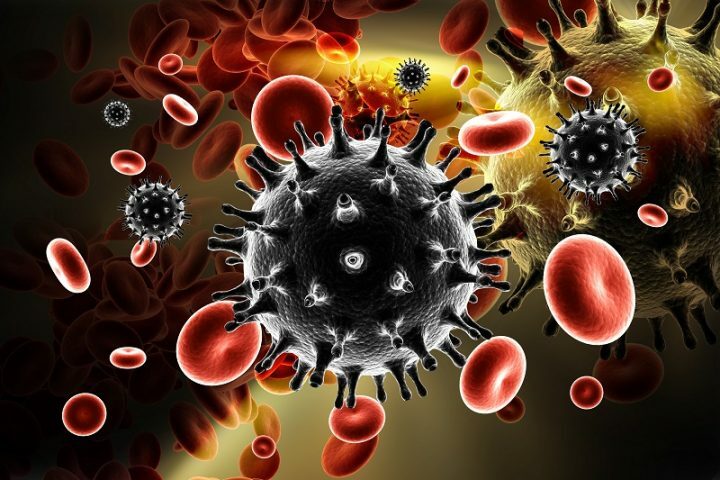 They knew that transplanting blood was the only hope so the doctors searched for a tissue match that had the rare mutation present that was HIV resistant. Soon after the blood cell transplant doctors announced he was cured. Brown stopped taking his HIV medication the next day and has been better ever since. After several tests it was confirmed that Brown was cured of AIDS, any remnants of the virus found in his body appeared to be dead. The first person ever to be cured of AIDS, and though he has had some days where he felt weak. All in all, it appears the cure has been permanent. An amazing medical breakthrough that cancer experts around the world are hoping will lead to more methods of curing HIV, leukemia, and AIDS. Brown has also set up an AIDS foundation in his name in hopes of helping more patients overcome the disease. In fact, just recently a man in London may actually also have been cured of HIV following the steps that cancer doctors outlined while treating Brown. This is really creating the hope that stem cell transplants will be the way to cure patients of terrible diseases! Some farmers have a very interesting take on the progression of growing cannabis and the growing legalization of marijuana around the United States. Many believe it is the perfect crop to be commercialized and used in their animal feed – too keep them happy and relaxed! And well if you do love eating bacon and chowing down on some lovely pork, then you might be interested to learn that marijuana feeding pigs apparently do taste better. Farmers in Washington are making bold claims that their marijuana pig feeds are helping their pigs grow bigger and even taste more savory. While the state has legalized cannabis for recreational use, the farmers are now exploring what to do with the excess of stems, roots, and leaves left behind from growing cannabis on a large scale. One farmer who owned a large five-acre farm north of Seattle decided the answer was to join an experimental group of farmers feeding the plant leftovers to their pigs. The potent plants seemed to have boosted pigs appetites just like the munchies happen to its recreational users. 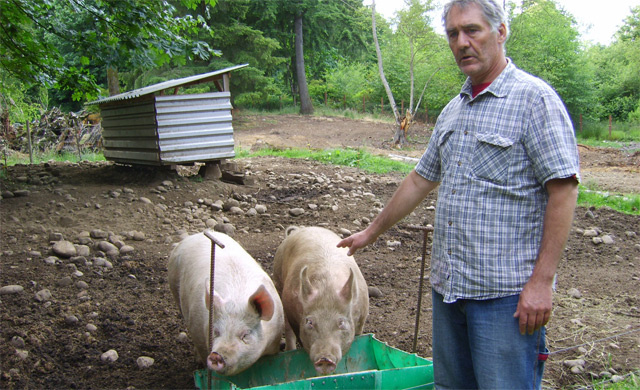 After just four months, the pigs were 20 to 30 pounds heavier. And the medical cannabis growers are very happy to find new solutions and uses for the leftovers and leaving, they are hoping to find many alternatives for what to do with pot leftovers in the future. There are even other ideas coming into the mix with the possibility of adding it to chicken feed or grass-fed cow herds. And the butchers who have been buying up the product, the weed-fed meat, as it is known to have reported that the buyers seemed rather drawn to the final product. The weed-fed meat was quickly sold out with people reporting that it seemed to taste a little more savory than usual – a welcome flavor. You may ask why doesn’t the industry make use of the stems and leaves for creating other types of cannabis-related products, like creams or drinks. While it is true that Washington legalized production in 2015, the law states that the only part of the plant that can be consumed is the cannabis buds. This has led to pot growers looking for creative solutions for using up the leftovers of their plants, given that the cannabis culture does have a strong sense of not wasting anything and championing recycling. The inventor of the telegraph Samuel Morse had quite a tough life that was filled with numerous disappointments and this may really have been one of the reasons he ended up inventing the telegraph. 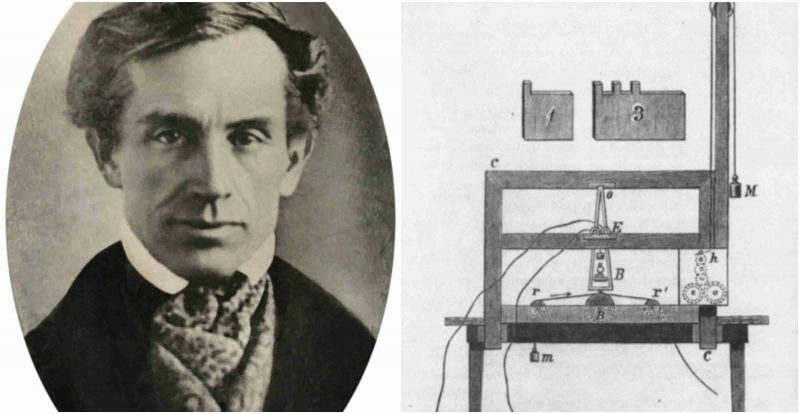 Samuel Morse was born 225 years ago and is known around the world for having invented the Morse code. At the age of 53, he constructed and connected a wire along a railroad all the way from Washington D.C. to Baltimore in Maryland. And then tapped out the first telegraph message ever: What hath God wrought. In one sweep Morse had started the age of the telegraph, which you could say eventually led on to the invention of the telephone and then the internet, leading up to what we all use today: the smartphone. I mean before this, everyone simply wrote letters. And it was letters that gave Morse bad news throughout his lifetime. It was a letter that changed the course of his life as he knew it. In February 1825, Morse was in Washington, D.C. trying to make his life as a painter. He wasn’t exactly well known or famous but he was making a solid living from producing art. And as he was growing older, at the age of 34, he was already older than when most artists had created their masterpieces. Morse had traveled to Washington to hopefully catch his big break, the city of New York had commissioned a $1,000 dollar painting from him. This was to pain the returning Marquis de Lafayette who had helped set the country free. During his trip away from his family home in Connecticut, his wife died Lucretia died from a heart attack while recovering from childbirth. Morse was made aware by a letter from his father, and though he rushed home, due to the slow pace of letter sending he did not make it back for the funeral. By the time he made it back to New Haven, his wife had already been buried. 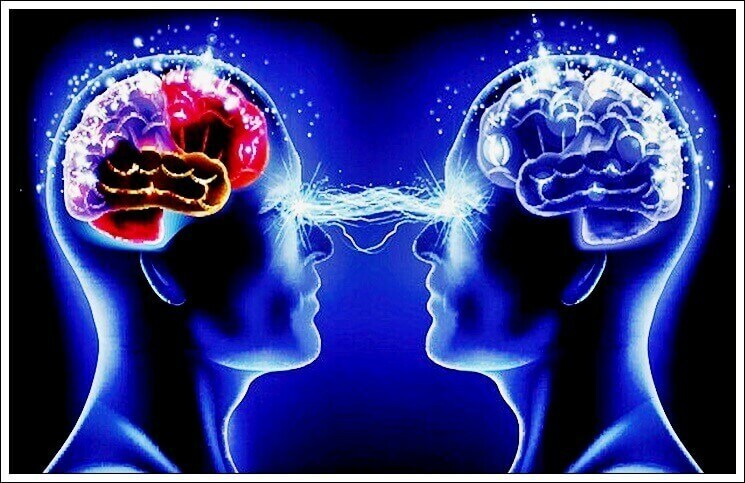 The rest, as they say, was history, yes Morse spends many years listening to lectures on electricity and electromagnetism while secretly working on his design. But nobody can deny what caused him to start on his journey to creating a way to send information in a matter of minutes. 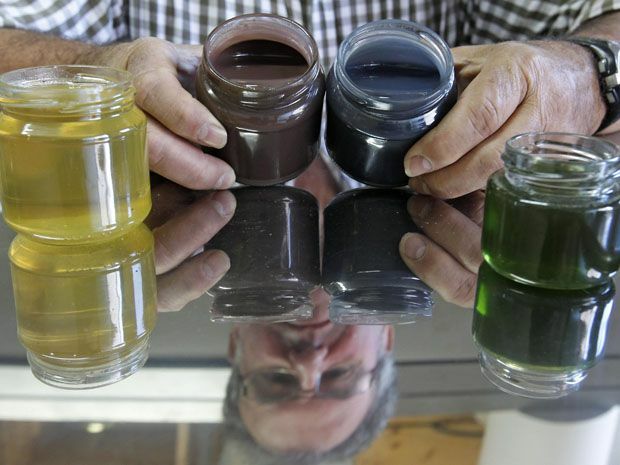 A couple of beekeepers in northeastern France were left scratching their heads in confusion when their bees started to produce thick blue and green honey completely naturally. The bees from their hives were found producing honey in odd shades of blue and green – something that was completely unheard of and never seen before. At first, the beekeepers feared the worst that some sort of chemical had ended up in their product. This would have been terrible given they prided themselves in their bees producing natural and eco-friendly honey. As it turned out no toxic chemicals had entered the product, however, it was found to be far from natural. In fact, the colored honey was unable to be sold at all because it did not meet France’s standards for honey production. You see they tested the honey and found that it was not being produced from nectar found in plants. And there was another problem: to sell natural honey you have to make sure it meets the standard coloring which is near colorless to dark brown. This was extremely bad news for the region, given that its economy really does live off honey production. It produces thousands of tons of honey per year & was already dealing with the high bee mortality rate and also the lower honey production caused by a harsh winter. This is when an investigation was ordered in the hometown of the beekeepers: Ribeauville. The goal was, of course, the figure out the root cause of this honey problem. And this is when they discovered the culprit: a processing plant about 2 miles away. The processing plant was being used for candy, namely M&M candy shells – which we all know are pretty colorful. The local bees were feeding off the remains of candy shells from uncovered containers. Luckily the problem was solved by cleaning up the outdoors of the plant and storing the candy remains in a covered building. Recently doctors treating a Taiwanese woman for a swollen eye were shocked to find that she had over four little bees living in her, under her eyelid and feeding off her tears. These tiny little bees are known as sweat bees and are only around 3 millimeters long, so are small enough to fit under an eyelid. The doctor treating her, Hung Chi-ting, saw some tiny insect legs and after inspection with a microscope realized that the bees were damaging her eyes inside. Luckily for this patient, Hung Chi-ting is the head of ophthalmology at the Taiwan Fooyin University Hospital and was able to act quickly to save her eye. These insects are known as sweat bees or Halictidae and generally, they will nest near graves or fallen trees which means you can easily come into contact when you are hiking in mountains or going to a cemetery. Which is exactly what happened to this patient, she believes the insects got inside her eye when she was visiting a relative’s grave. The problem is that the insects will have been attracted to her tears as this would have been the ideal food for them. She attempted to wash them out but kept experiencing severe pain so went to see the doctor at the hospital. 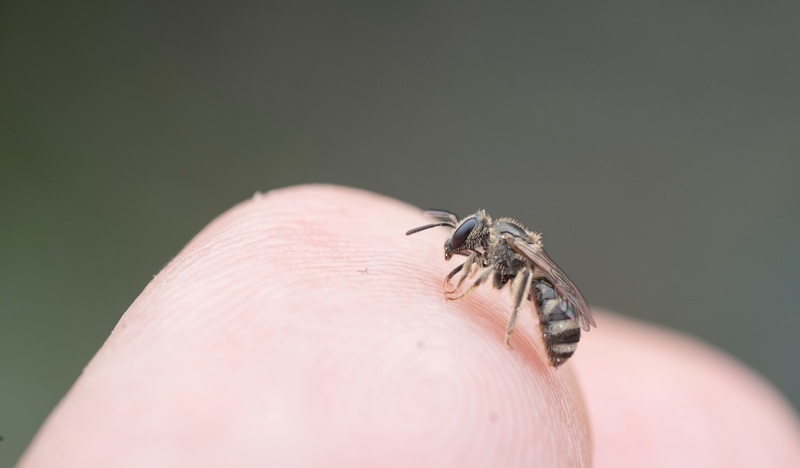 The sweat bees had caused a bacterial skin infection and started to erode her corneal, it was extremely lucky that she had come to the hospital almost immediately. Any longer and Hung Chi-ting advised he may have had to take out her eyeball completely just to save her life. And due to the quick action, her eyesight has been left intact, though her vision has gone down a little in the affected eye. Generally speaking, there is not much to worry about, sweat bees will feed off nectar and pollen. 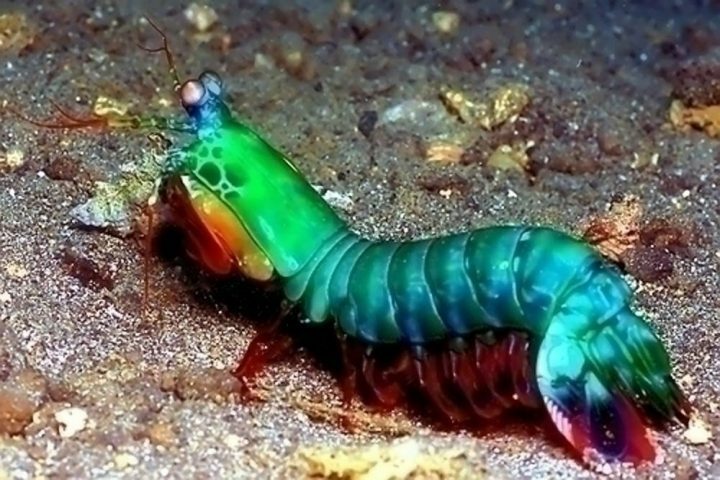 But they are also known to like human perspiration, which for them contains moisture and salts that they find precious – and on this occasion what caused the problem. 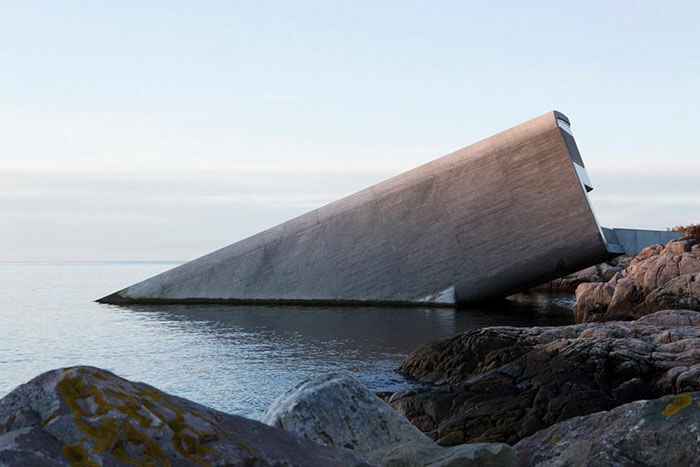 If you’re always on the hunt for creative dining experiences, the folks at Snøhetta have you covered. 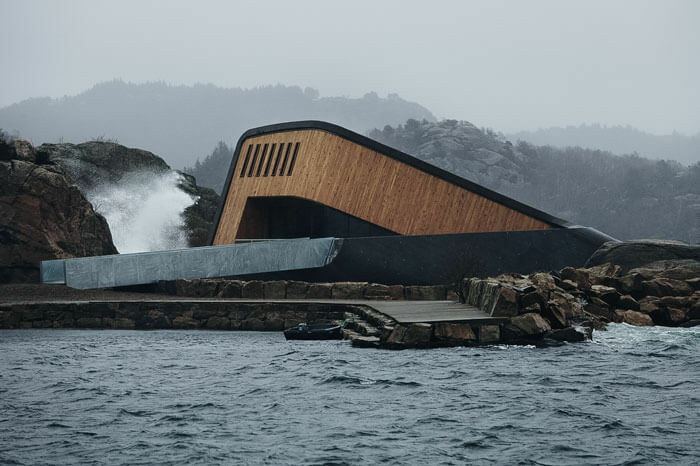 Business owners of Snøhetta are innovating the dining experience for those in Norway with a new restaurant named Under. The dining room of the 100-foot long restaurant is fully submerged underwater! Their 2-ton periscope-like structure is the first of its kind, sitting almost 6 meters under the North Sea. It is not the only underwater restaurant in the world, but it is the only one in Europe and far superior to its forerunners. Not too long after World War II on September 9, 1947, the first ever documented report of a computer bug happened. Computer scientist Grace Hopper was monitoring her computer and reported that there was, in fact, a moth trapped inside her computer at Harvard University. So the first ever recorded computer bug was quite literally an actual bug. This was the first computer bug, which in modern times generally means that there is a bug with the software, a glitch in the software or an actual fault with the hardware. Thomas Edison did actually identify and report bugs in his designs and creations as early as the 1800s. But the award for the first report of a computer bug goes to Grace Hopper. And in Hopper’s case, it was an actual real-life bug. Her coworkers investigated her system at the Harvard University in Cambridge, Massachusetts for her and noticed that it was constantly delivering errors and running into technical problems. They decided to check the actual computer’s hardware and then that is when they discovered a moth inside the tower. 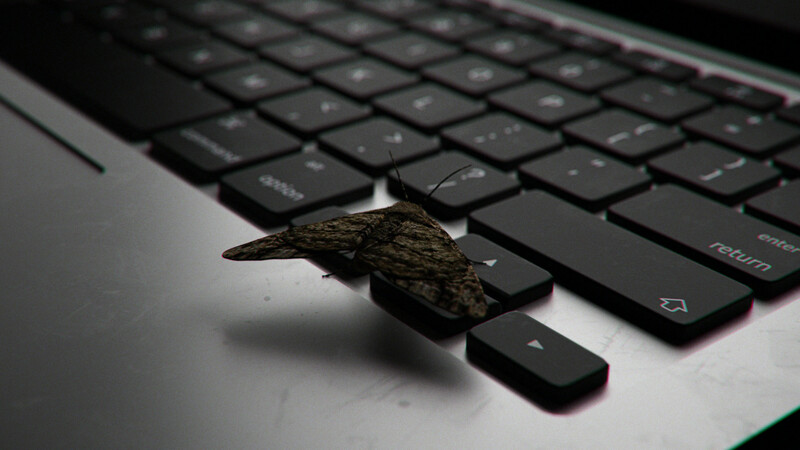 The moth was trapped and the insect was being able to disrupt the actual electronics of the computer. 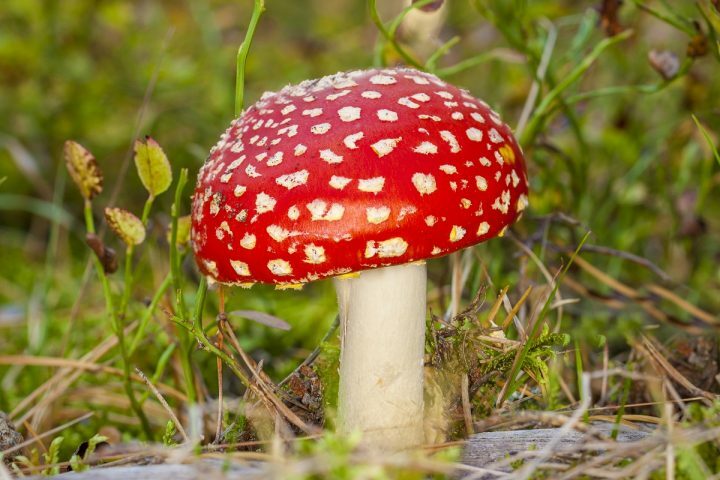 Luckily this bug did not stop Hopper who went on to become one of the first supercomputer geeks: creating the first compiler for the programming language that went on to become COBOL. And the really cool thing was that during this scenario of an insect being trapped in her computer, was the first time anyone actually used the term debugging. Debugging and bug management are now extremely important aspects of the computer science industry. So it pretty cool to think that debugging was created when a moth was taking out of a computer system. And today software bugs can have an effect on the functioning, safety and the actual security of the operating system.